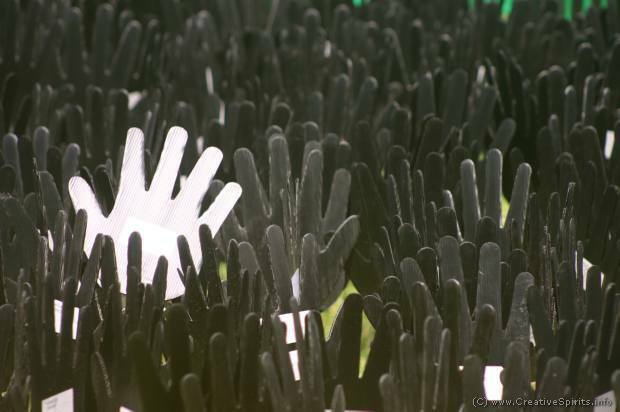 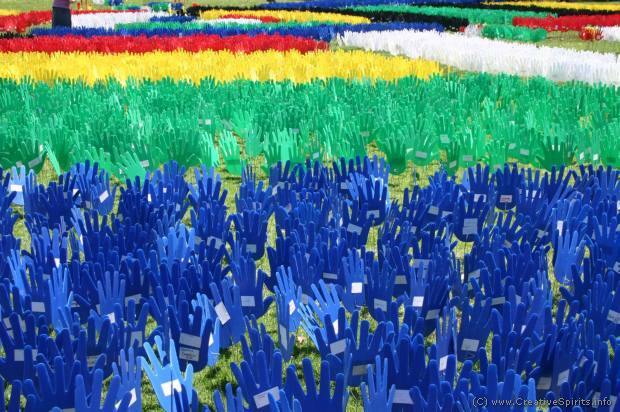 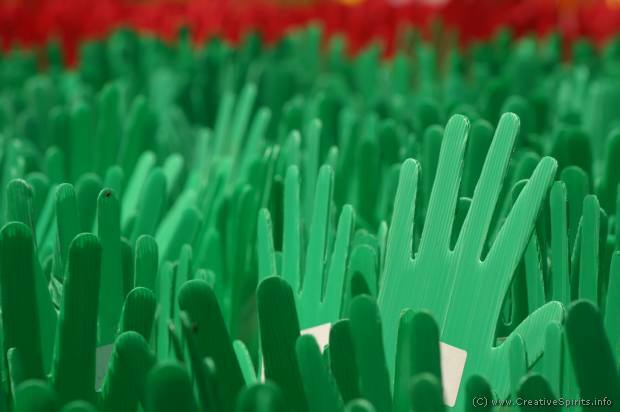 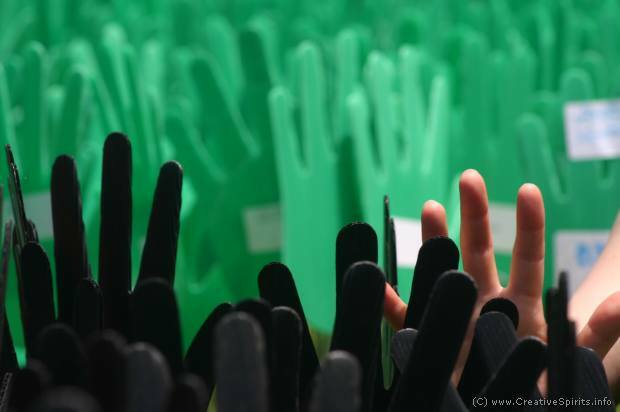 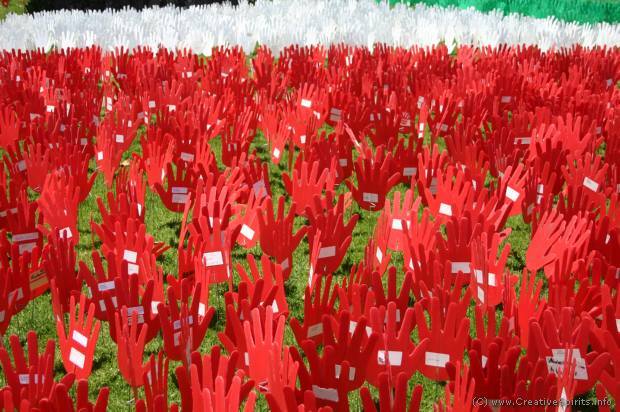 The ANTaR Sea of Hands is an arrangement of plastic hands in the colours of the Aboriginal and Torres Strait Islander flags promoting awareness. 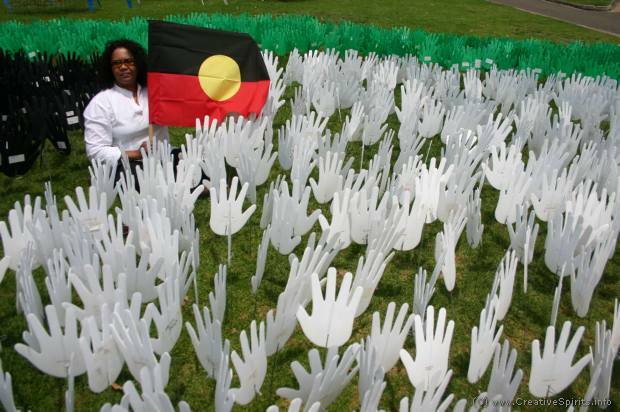 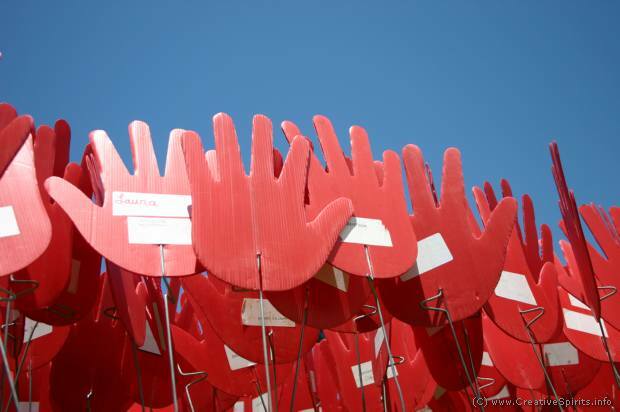 The Sea of Hands was created in 1997 as a physical representation of a petition circulated by ANTaR (Australians for Native Title and Reconciliation) to mobilise non-Aboriginal support for native title and reconciliation, at a time when native title rights were under serious threat from the Howard Government's proposed changes to the Native Title Act 1993. 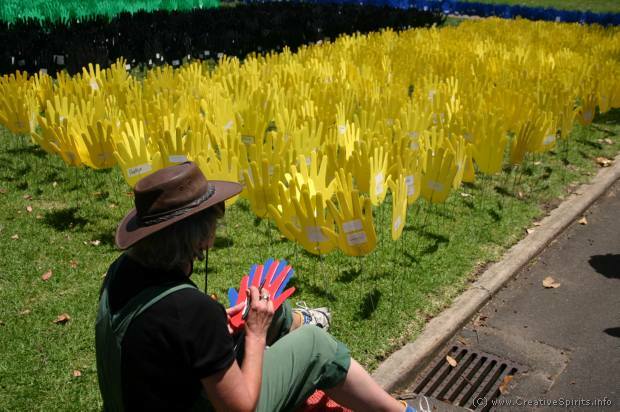 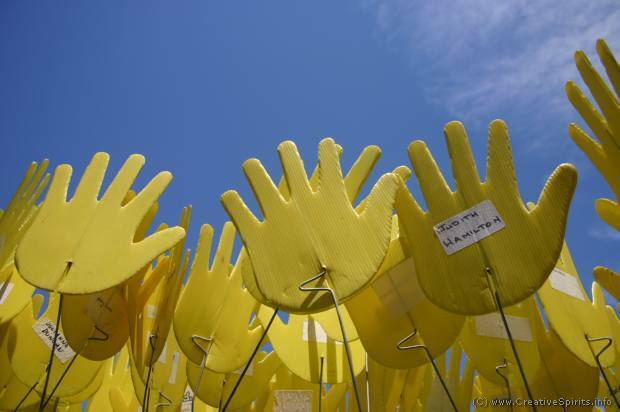 Plastic hands in the colours of the Aboriginal and Torres Strait Islander flags, each one carrying one signature, were installed in front of Parliament House in Canberra in October 1997, in what was then the largest public art installation in Australia. 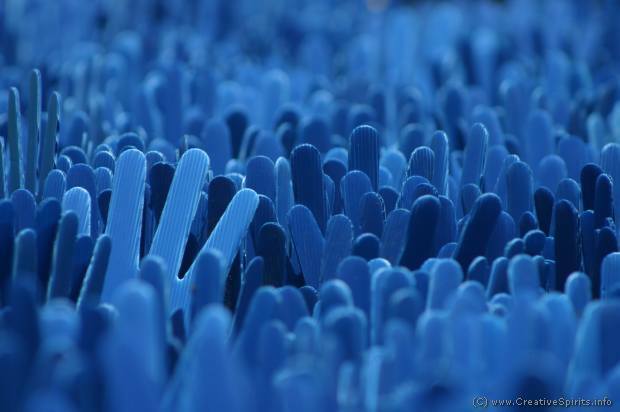 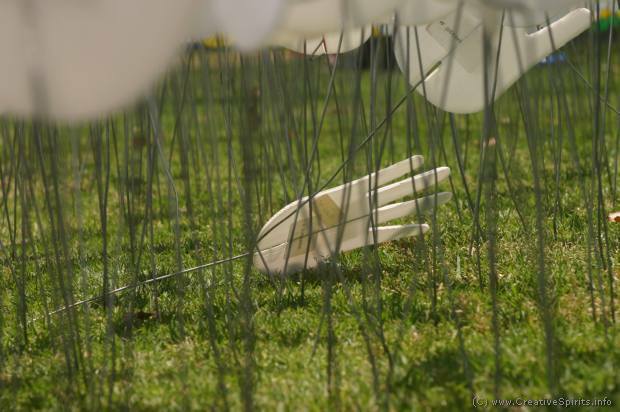 This slideshow shows images of a much smaller installation in Sydney in 2009. 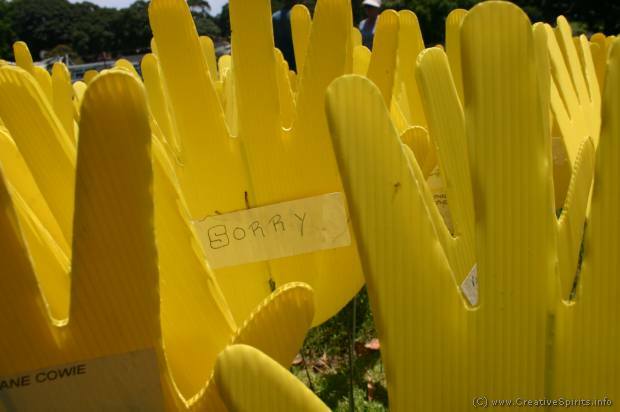 With smaller installations like this ANTaR tries to maintain native title and reconciliation on the minds and agendas of people and politicians. 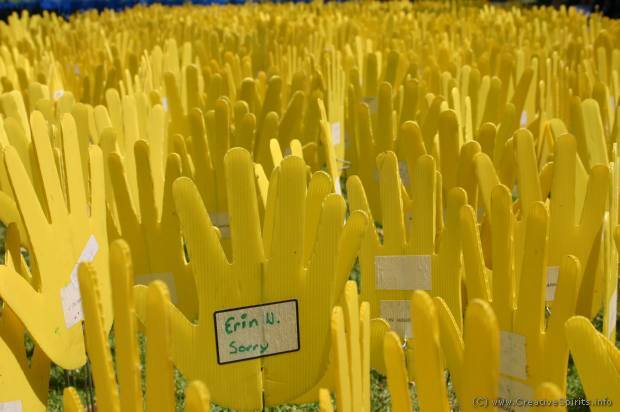 Read more about the Sea of Hands on ANTaR's website.